Faro Caserecce lo. Photo by Michael Tulipan, courtesy of Faro. Just because we may not have ties to the mafia doesn't mean we can't to Sundays supper the right way. 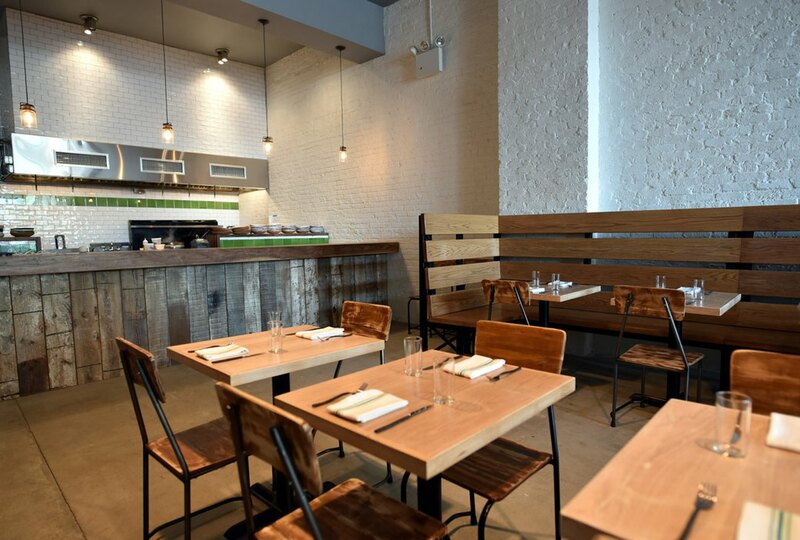 Faro, the Michelin-rated restaurant on Jefferson Street, has introduced 12-hour-long feasts for maximum gastronomic effect. The hyper-seasonal, environmentally conscious restaurant debuted Sunday Brunch & Supper, which will be served weekly from 10 am to 10 pm. For brunch, Chef/Owner Kevin Adey is cooking up not-yo-mama's pancakes and scrambled eggs. Expect items like Toad in the Hole Grilled Cheese with potato-pancetta hash; Local Grain Porridge with leek, potatoes and egg; and a Dutch Baby with apple butter and whipped crème fraiche. For die-hard carnivores, there will also be Steak and Eggs and Cornbread with Pork Belly. Faro is also now serving supper, the long-forgotten meal and less informal dinner. 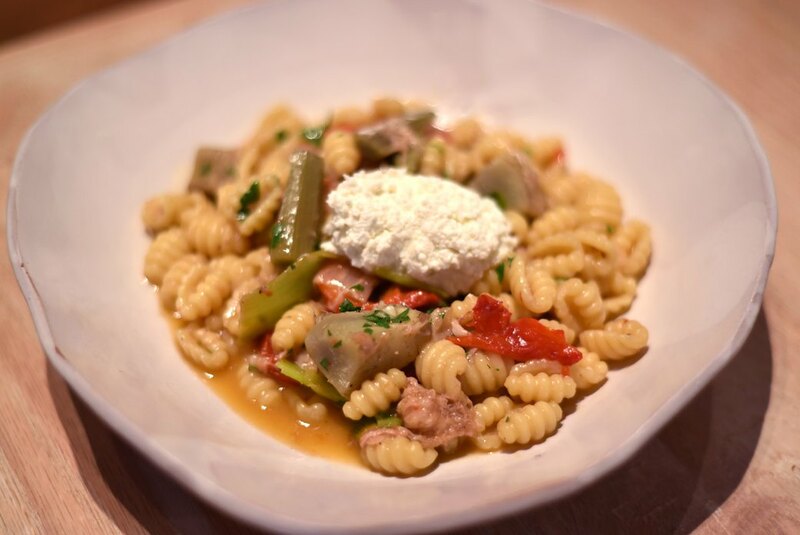 If you've been living under a rock, then you don't know that Faro is famous for their pastas, all which are handmade from house-milled flour. 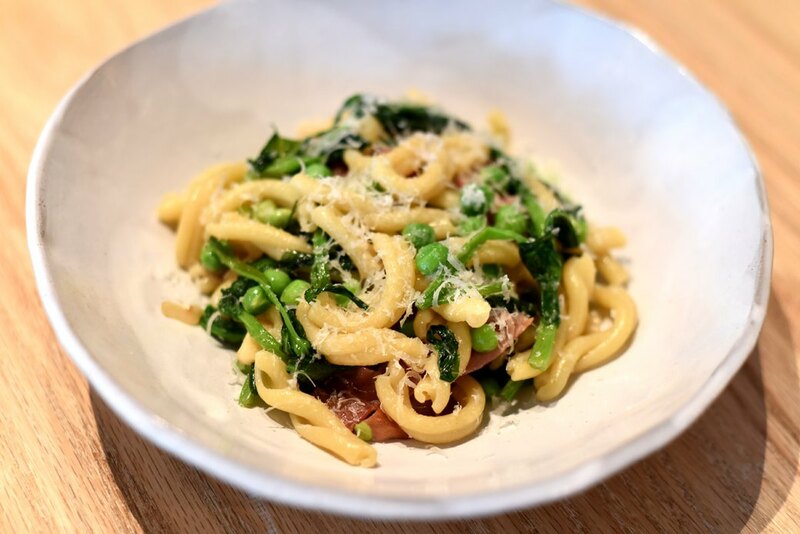 New pastas on the Sunday menu include Ricotta Cavatelli with wild mushrooms and crispy leeks and Roman Gnocchi (large semolina flour dumplings with red wine braised beef). For larger plates meant to share, Adey is whipping up classic Italian supper fare like meatballs with polenta and Chicken Cacciatore. All meat served at Faro is sourced from Tim Haws’ Autumn’s Harvest Farm in Romulus, NY. On the drink front, Faro is doing special cocktails both by the glass and the pitcher, including their take on a Bloody Mary made with fire-roasted tomatoes, anchovy caramel and horseradish. For a hangover cure, Faro’s take on the Redeye blends vodka, light beer and hot sauce with the option to add a raw egg.